The developing story has been bananas and full of speculation, but it all comes down to a very dispiriting “No comment” statement made by GSC to Rock, Paper, Shotgun. A blog post from 1C Ukraine’s Sergey Galenkin also confirms the closure. There’s still no official word from GSC, but things are looking altogether not unlike S.T.A.L.K.E.R.’s Chernobyl Exclusion Zone — grim, troubled and full of mutants. S.T.A.L.K.E.R. 2 (the series’ first proper sequel after two pseudo-sequels) was set to release next year. Rock, Paper, Shotgun are following the story as it develops. I’m sad. S.T.A.L.K.E.R. was a sub-genre unto itself that took first-person shooters to the next logical step in a post-Deus Ex world; a game about exploration and immersion as much as it was about shooting things (or running away, as was sometimes the smarter choice). 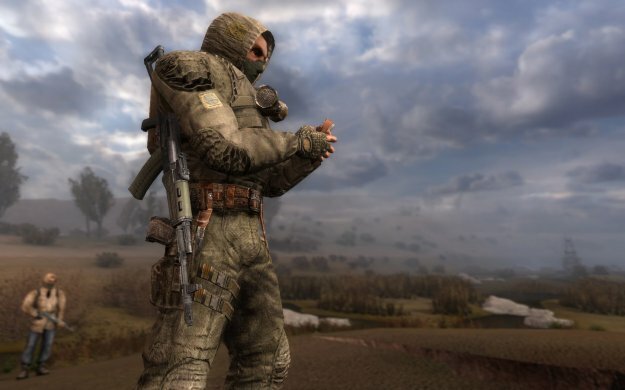 While most FPS developers this generation just try to re-make Call of Duty, S.T.A.L.K.E.R. was a tranquil and contemplative (if dark and oppressive) oasis in a sea of blustery Blackhawk crashes and Hyena-shooting. If you have a decent PC and haven’t yet played S.T.A.L.K.E.R., then do yourself a favor and check it out. You can find the series on Steam, Impulse — all the usual platforms of note. I recommend Shadow of Chernobyl and Call of Pripyat. Clear Sky is — eh — not-so-great.